Calcium chloride has a very high enthalpy change of solution, indicated by considerable temperature rise accompanying dissolution of the anhydrous salt in water. This property is the basis for its largest scale application. Molten calcium chloride can be electrolysed to give calcium metal and chlorine gas. In much of the world, calcium chloride is derived from limestone as a by-product of the Solvay process: North American consumption in 2002 was 1,687,000 tons (3.37 billion pounds). Bulk of CaCl2 for deicing in Japan. By depressing the freezing point of water, calcium chloride is used to prevent ice formation and is used to deice. This application consumes the greatest amount of calcium chloride. Calcium chloride is relatively harmless to plants and soil. As a deicing agent, it is more effective at lower temperatures than sodium chloride. When distributed for this use, it usually takes the form of small, white spheres a few millimeters in diameter, called prills. Solutions of calcium chloride can prevent freezing at temperature as low as −52 °C (−62 °F), making it ideal for filling agricultural implement tires as a liquid ballast, aiding traction in cold climates. Also used in salt/chemical-based dehumidifiers in domestic and other environments to adsorb dampness/moisture from the air. 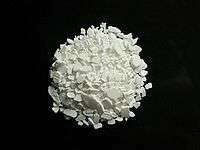 Calcium chloride is used to increase the water hardness in swimming pools. This process reduces the erosion of the concrete in the pool. By Le Chatelier's principle and the common ion effect, increasing the concentration of calcium in the water will reduce the dissolution of calcium compounds essential to the structure of concrete. As an ingredient, it is listed as a permitted food additive in the European Union for use as a sequestrant and firming agent with the E number E509. It is considered as generally recognized as safe (GRAS) by the U.S. Food and Drug Administration. Its use in organic crop production is generally prohibited under US National Organic Program's National List of Allowed and Prohibited Substances. The average intake of calcium chloride as food additives has been estimated to be 160–345 mg/day for individuals. In marine aquariums, calcium chloride is added to introduce bioavailable calcium for calcium carbonate-shelled animals such as mollusks and some cnidarians. Calcium hydroxide (kalkwasser mix) or a calcium reactor can also be used to introduce calcium; however, calcium chloride addition is the fastest method and has minimal impact on pH. In cheesemaking, calcium chloride is sometimes added to processed (pasteurized/homogenized) milk to restore the natural balance between calcium and protein in casein for the purposes of making cheeses, such as brie, Pélardon and Stilton. By adding calcium chloride to the milk before adding the coagulant, calcium levels are restored. Also, it is frequently added to sliced apples to maintain texture. It is injected to treat internal hydrofluoric acid burns. It can be used to treat magnesium intoxication. Calcium chloride injection may antagonize cardiac toxicity as measured by electrocardiogram. It can help to protect the myocardium from dangerously high levels of serum potassium in hyperkalemia. Calcium chloride can be used to quickly treat calcium channel blocker toxicity, from the side effects of drugs such as diltiazem (Cardizem) — helping avoid potential heart attacks. Calcium chloride is used in concrete mixes to accelerate (speed up) the initial setting, but chloride ions lead to corrosion of steel rebar, so it should not be used in reinforced concrete. The anhydrous form of calcium chloride may also be used for this purpose and can provide a measure of the moisture in concrete. 1 2 3 4 5 6 Pradyot, Patnaik (2003). Handbook of Inorganic Chemicals. The McGraw-Hill Companies, Inc. p. 162. ISBN 0-07-049439-8. ↑ "CALCIUM CHLORIDE (ANHYDROUS)". ICSC. 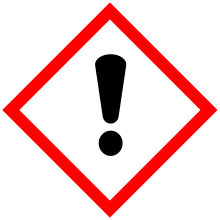 International Programme on Chemical Safety and the European Commission. ↑ Seidell, Atherton; Linke, William F. (1919). Solubilities of Inorganic and Organic Compounds (2nd ed.). New York: D. Van Nostrand Company. p. 196. 1 2 3 4 5 6 Anatolievich, Kiper Ruslan. "Properties of substance: calcium chloride". chemister.ru. Retrieved 2014-07-07. 1 2 3 4 Müller, Ulrich (2006). Inorganic Structural Chemistry. wiley.com (2nd ed.). England: John Wiley & Sons Ltd. p. 33. ISBN 978-0-470-01864-4. 1 2 3 Sigma-Aldrich Co., Calcium chloride. Retrieved on 2014-07-07. 1 2 "MSDS of Calcium chloride". fishersci.ca. Fisher Scientific. Retrieved 2014-07-07. ↑ "Agricultural Tire Hydroinflation". www.firestoneag.com. Firestone Tires. December 2007. Retrieved 3 December 2007. ↑ "humantouchofchemistry.com Keeping Things Dry". Retrieved 2014-10-23. ↑ "Dust: Don't Eat It! Control It!". Road Management & Engineering Journal. 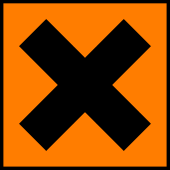 US Roads (TranSafety Inc.). 1 June 1998. Retrieved 9 August 2006. ↑ "Apple Caviar Technique". StarChefs Studio. StarChefs.com. April 2004. Retrieved 9 August 2006. ↑ "CPG 7117.02". FDA Compliance Articles. US Food and Drug Administration. March 1995. Retrieved 3 December 2007. ↑ "Calcium chloride Prescribing Information". Hospira, Inc. November 2009. Retrieved 10 June 2011. 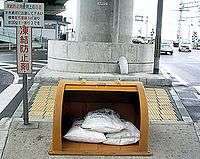 ↑ "Accelerating Concrete Set Time". Federal Highway Administration. 1 June 1999. Retrieved 16 January 2007. ↑ National Research Council (U.S.). Building Research Institute (1962). Adhesives in Building: Selection and Field Application; Pressure-sensitive Tapes. National Academy of Science-National Research Council. pp. 24–5. ↑ Jana, K.; Samanta, P.K. (2011). "Clinical evaluation of non-surgical sterilization of male cats with single intra-testicular injection of calcium chloride". BMC Vet Res. 7: 39. doi:10.1186/1746-6148-7-39. PMID 21774835. ↑ "Product Safety Assessment (PSA): Calcium Chloride". Dow Chemical Company. 2 May 2006. ↑ "Calcium Chloride Possible Side Affects".